With support from loyal sponsors and dedicated fitness professionals, the Augie's Quest 10 Year Reunion Bash exceeded its own expectations by raising more than $1.8 million for ALS (amyotrophic lateral sclerosis, or Lou Gehrig’s disease) research on Friday, March 13. 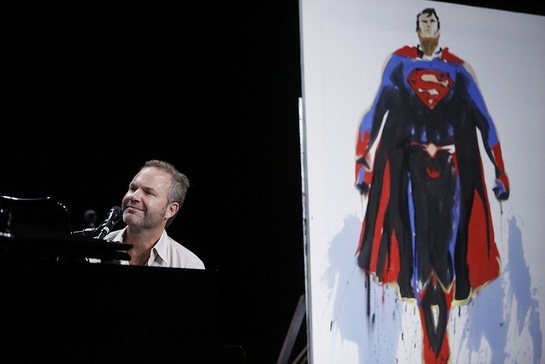 John Ondrasik of Five for Fighting performed at Augie's Quest 10 Year Reunion Bash. The event is presented by IHRSA (International Health, Racquet, and Sportsclub Association). The purpose of Augie’s Quest has always been to fund research and drug development aimed at ending ALS, Lou Gehrig’s disease. Since 2007, Augie’s Quest has raised over $44 million in support of finding effective ALS treatments- making it the largest individual fundraising program for ALS!